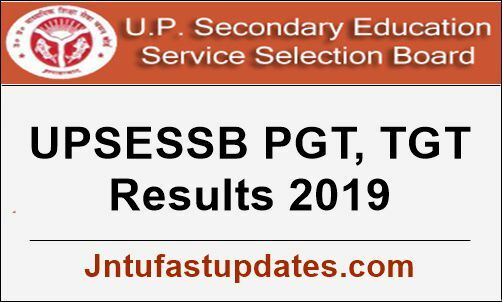 UPSESSB PGT, TGT Results 2019: UP Secondary Education Service Selection Board (UPSESSB) has completed conducting the TGT (Trained Graduate Teacher) and PGT (Postgraduate Teacher) written test on various dates. As per the scheduled dates for the PGT exam conducted on 10th March, 2019 and TGT exam conducted on 26th March, 2019. Many of the aspirants wishing to become primary and secondary grade school teachers in Uttar Pradesh have competed for the test as per the schedule they have allotted. The competitors clashed for the UPSESSB written test can shortly download answer keys for the respective examinations. The Uttar Pradesh Education Board has released the answer keys for all the sets. Hopefuls can download the question paper solutions from the official website, upsessb.co.in. To analyze the attempt, compare with the answer given in the official answer sheet. The details of result, cutoff marks has been specified in this article. UP Secondary Education Service Selection Board (UPSESSB) has recently released the notification for 9294 Trained Grade Teacher and Postgraduate Teacher posts. The application process was recently conducted for the announced posts. More than 1.5 lakh aspirants applied for the TGT and PGT posts in the state of Uttar Pradesh. Selection of suitable candidates will be done through the written test and interview rounds. UPSESSB conducted the written test on 10th 26th March, 2019 respectively. The examination conducted in many examination centers across the state of Uttar Pradesh. The UPSESSB will release the answer key within 3 to 4 days after the examination. Competitors clashed for the written test can download the answer keys from the official portal, upsessb.co.in. Candidates competed for the examination can download the answer keys for all sets A, B, C, D. Candidates can download the question paper solutions for corresponding sets and analyze the score. By comparing the answers, aspirants can check the approximate score they are going to obtain in the examination. Aspirants can download the results within a month after the examination (approximately). Probably, the UPSESSB will release the results in October last week. Aspirants can wait for the result date. Soon, the organization will declare the result dates on its portal, upsessb.co.in. Stay checking the portal for latest updates. The cutoff marks/qualifying marks are the minimum score that required to be scored by the competitors to clear the examination. The UPSESSB TGT/PGT Cutoff marks will be decided based on the level of competition, the difficulty level of the examination, number of vacancies available and other major factors. The UP Education Board will release the section-wise and category-wise cutoff marks. Hopefuls can check the cutoff marks and can estimate whether they qualified the test or not. On the homepage the notification of answer key, the result will be updated by the organization. Click the corresponding link and enter the login credentials. That’s it! The answer key/result displays on the screen. Go through it and take a printout for the future reference.